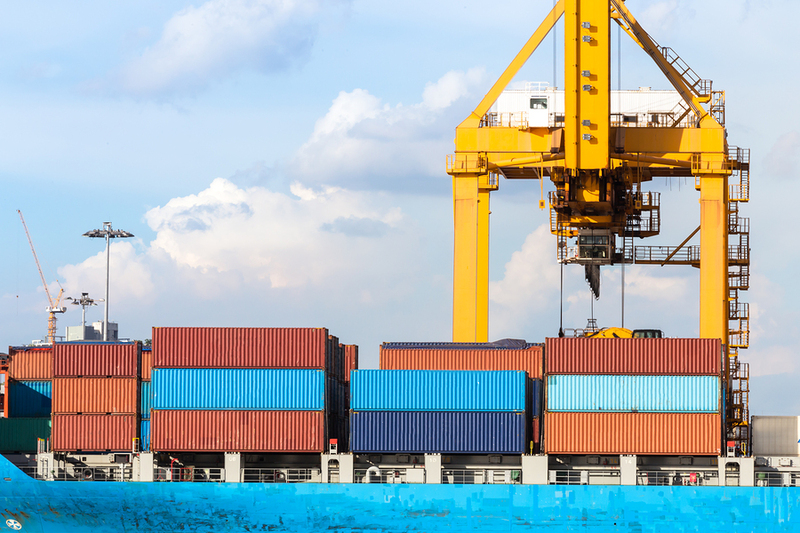 Shipping containers have revolutionized international trade. Containers have made it much cheaper to load, transport and unpack products and goods. In fact, thanks to the shipping container, a single sweater can travel 3,000 miles by sea for less than a quarter. In the U.S. there’s an excess of used shipping containers. For example, America’s ports receive about 12 million steel containers yearly, carrying more than $1 trillion in raw goods and products. And in the country’s largest ports, like Baltimore or Long Beach, CA, thousands of these used containers sit in wait to be repurposed. You might be wondering: Why do shipping containers play such a significant role in international trade? The short answer is their construction. 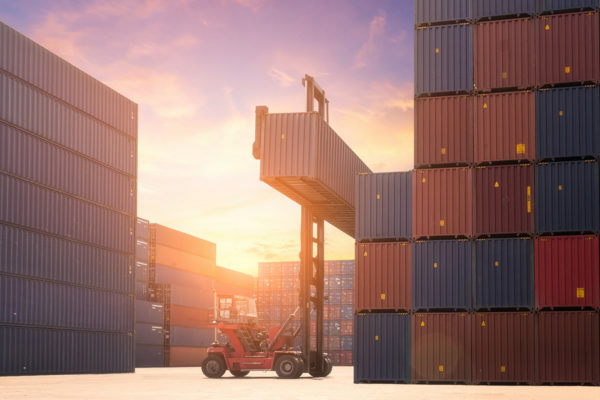 Shipping containers are built from high-strength steel, and due to their sturdiness, they’re able to handle the wear-and-tear of a 3,000-mile sea journey and movement by a crane while in port. Almost all sea-worthy shipping containers are built from steel. Steel is the perfect material for stackable containers. It’s corrosion-resistant, which naturally protects it from the rust-causing salt water. It’s highly sturdy, allowing containers to be stacked and moved without damage. 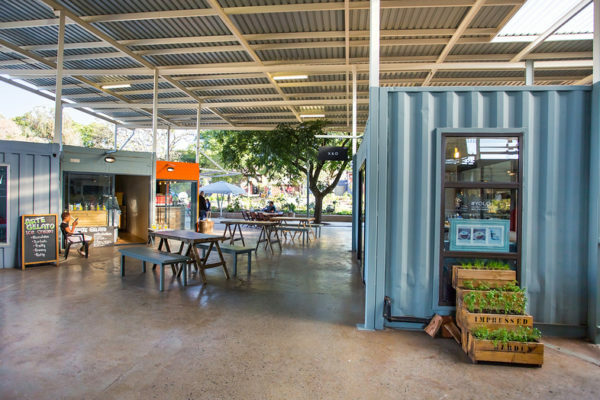 Plus, steel is durable – that’s why many containers are turned into container homes and offices. Going a bit further, shipping containers are made from a bunch of sheets and beams of steel, and the process of putting all the pieces together is somewhat complicated. Shipping containers start as small 8×3 foot sheets of steel. Each sheet is sent through machines to prepare it for fabrication; it’s sandblasted, flattened and then sent through a stamping process. The press corrugates the steel, which helps add strength. Ultimately, the individual sheets are welded together to form wall panels. In general, shipping containers measure 20- or 40-feet in length, or about 7-14 pieces of steel per wall. The corrugated walls are then reinforced with long steel beams, which add strength and rigidity. 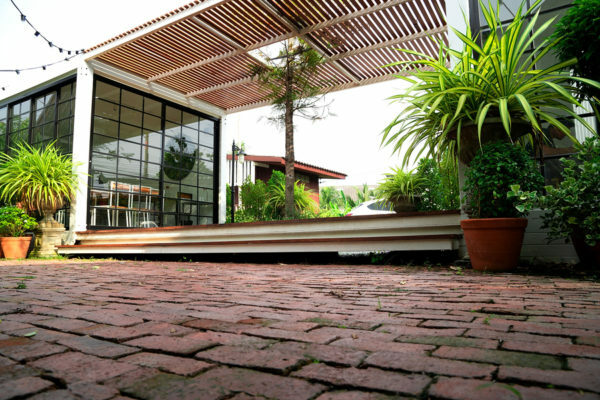 Each container features a high-strength subfloor, which is made from square steel beams. Cross rails are welded to two long side rails about every 1.5 to 2 feet. This structure serves as the frame for the floor, which will ultimately be covered with plywood flooring. Large corner posts are welded to the subfloor frame, and the individual door units are installed. Like the walls, a shipping container’s doors are made from corrugated steel, and they are hung from an I-beam. Ultimately, the I-Beam is fitted to the corner posts. The rear wall until is added as well. Finally, the two side wall panels are fitted to the box and welded in place, before the roofing is added. Throughout the process, the welds are sanded to remove any rough corners and jags. Then, the container goes through a variety of processing to get it ready for paint, including sandblasting and priming. Ultimately, the container is painted – typically blue, red or yellow, but there are containers available in all colors. The last step in the manufacturing process: The floor is added to the subfloor frame. Containers all feature a sturdy plywood floor that’s constructed out of a series of panels. Before it’s ready to ship, unique markings must be added to the container for identification. These decals and identification system classify the materials that will be sent, the company who owns the container, and a serial number. Bottom line, shipping containers are constructed for durability, and that’s why they’re such a valuable commodity in shipping. The durability, waterproofness, and easy transportation make containers useful for a range of applications. Sea containers are now being used to build container homes, offices, classrooms and even mobile farms. Looking for a shipping container for storage or your next construction project? Contact K&K Containers today for a free estimate. We ship sea containers throughout the East Coast from our headquarters in Baltimore. Previous post How Shipping Containers Are Revolutionizing Urban Farming Next post How Much Does a Shipping Container Weigh?